In 1953, students graduating from Yale University were asked by researchers whether or not they had formulated specific, written-down goals for the rest of their lives. Only 3% of them said they had. Two decades later, the researchers tracked down the class of ’53, to see how their lives had turned out. The results were unequivocal: the 3% of graduates with written goals had amassed greater financial wealth than the other 97% combined. These amazing results have been trumpeted in books and speeches by motivational gurus such as Brian Tracy, Zig Ziglar, and Tony Robbins. But there’s one slight problem. The study never happened. It was a complete fiction. Now, this is no reason to abandon goal setting, right? Plenty of other research, spanning over four decades, had validated the power of goals, notably due to the work of two management theorists, Gary Latham and Edwin Locke. That is until 2009, when professor Lisa Ordóñez and three of her colleagues took dead aim at accepted notions of setting and pursuing goals. This new study found some nasty side effects to the dogma, in that pursuing clearly defined goals seemed to motivate people to lie, cheat, and otherwise engage in short-term thinking to overcome obstacles. The more important finding of the study performed by Ordóñez, however, showed that legacy beliefs about goals were too simplistic. Once removed from the laboratory into that complex environment known as “real life,” rigid adherence to specific outcomes can be disastrous. That’s because pursuit of a planned outcome subverts smarter paths, bigger opportunities, and even clear signs of disaster. A preferable focus is on process rather than particular goals or benefits. In my company, we call this doing what’s indicated. We always have a broad sense of direction, but we don’t create a precise step-by-step plan or dwell on specific outcomes in terms of revenue or other metrics. Instead, we start, observe, and adapt based on what actually happens. It’s a form of improvisation, in that we’re always willing to change the route to where we’re trying to get. More importantly, we’re willing to change the destination itself. Research shows that we’ve been on the right path with this approach, even beyond the specific success of our company. Professor Saras Sarasvathy recruited forty-five entrepreneurs who each had at least fifteen years of startup experience and had taken at least one company public. The hundreds of pages of transcripts she compiled might seem like conversations with jazz musicians or surfers rather than seasoned business people. But what those conversations reveal applies not only to business, but also to any life pursuit. Almost universally, these entrepreneurs scoffed at the goals-first doctrine of Locke and Latham. They further thought that detailed business plans were a waste of time. And they advocated an approach that might best be characterized as “ready, fire, aim,” or what Sarasvathy calls effectuation. In other words – start, observe, and adapt (as in deal with things as they are). That’s because the real world of business and beyond is much more like surfing a wave than executing an idealized step-by-step plan. So why does goal-first thinking persist, and even dominate, motivational thinking and business training? Mainly because of uncertainty, and the way it makes us idealize our goals and plans for the future. Psychologist Dorothy Rowe believes that we fear uncertainty more than death itself. And while setting goals and planning our steps makes us feel better and prepares us for action, we can only truly achieve certainty by noticing, in the moment, when the path forward has revealed itself. 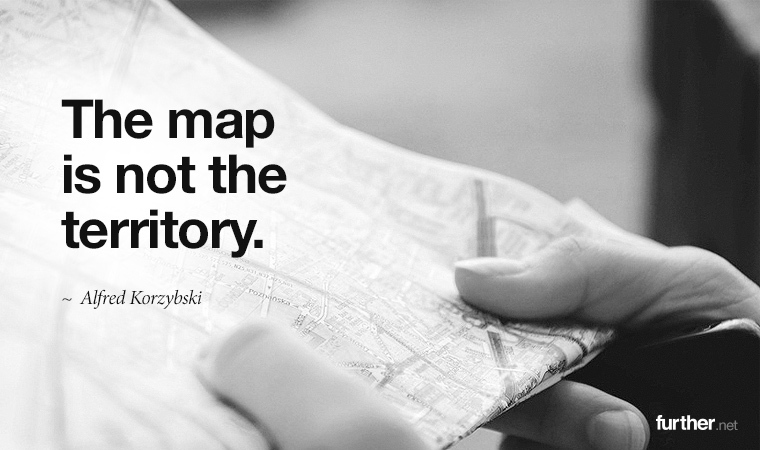 The map is not the territory, and the destination is not the point. You can only start walking, keep your eyes open, and (smartly) keep going. One of the best (or worst) non-business examples of goal-first thinking gone horribly wrong is exemplified by the 1996 Mt. Everest disaster chronicled in the book Into Thin Air. All indications said turn back, but the goal of reaching the summit became a case study in short-term thinking that overrode even the survival instinct. The climbers achieved their goal. They just didn’t make it down alive. Note: This doesn’t explain Donald Trump. My goal for today is that you’re having a great one. I’m in Nashville on business, and the humidity is terrible. I can’t complain (yes, I still do).